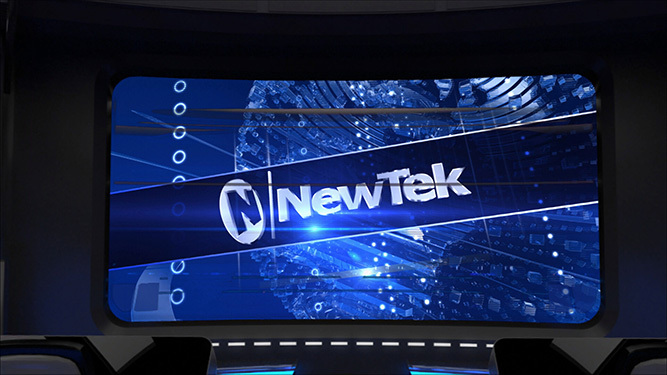 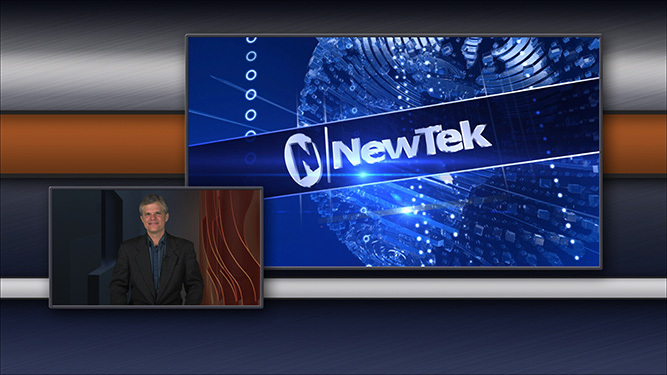 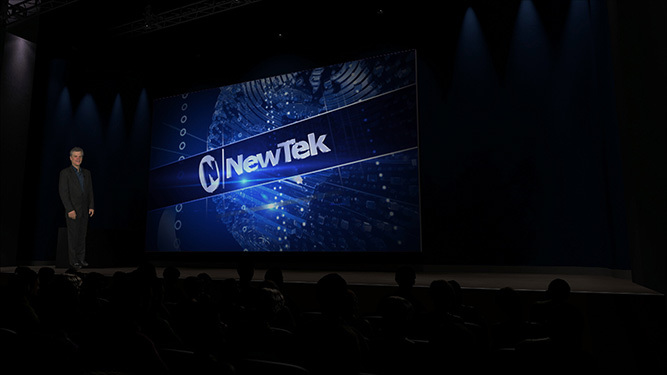 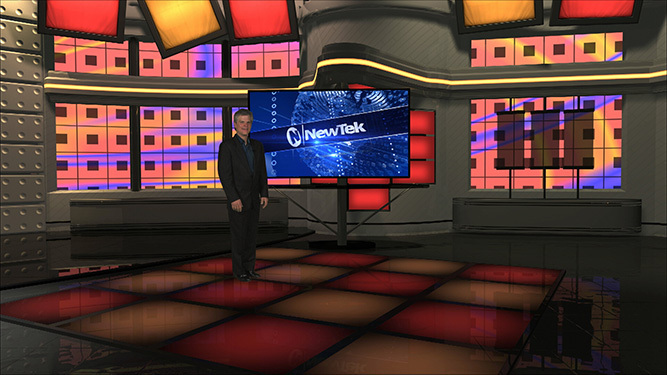 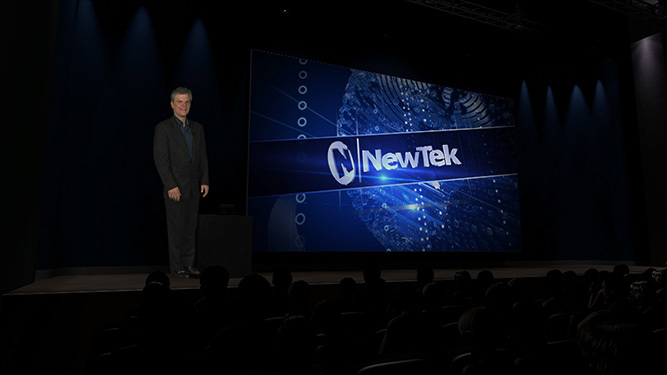 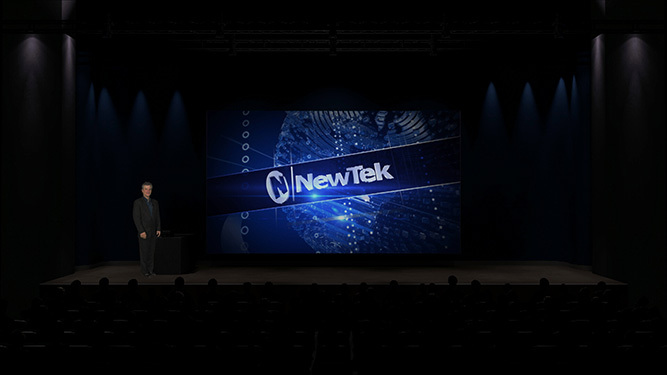 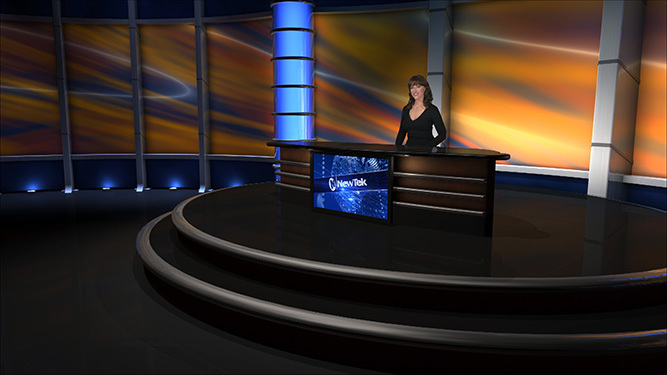 TriCaster live virtual sets are realistic, software-modeled studio environments that you can create in any 3D program and store right in the system. 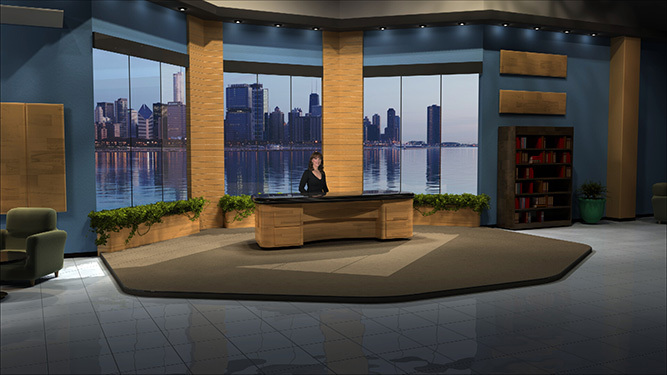 They allow you to place your talent into a high-end studio—without the expense, construction, and inflexibility of a physical set—no matter how small your production space is or what it looks like. 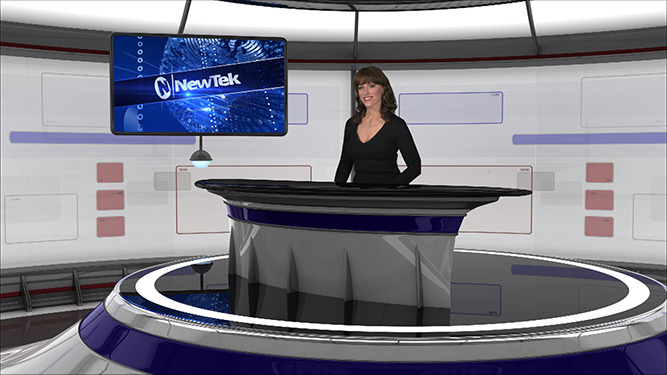 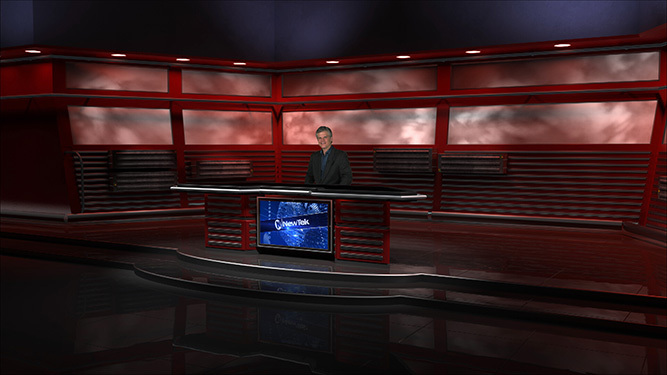 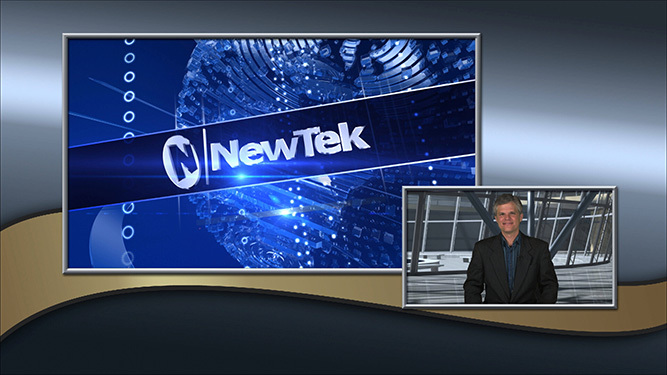 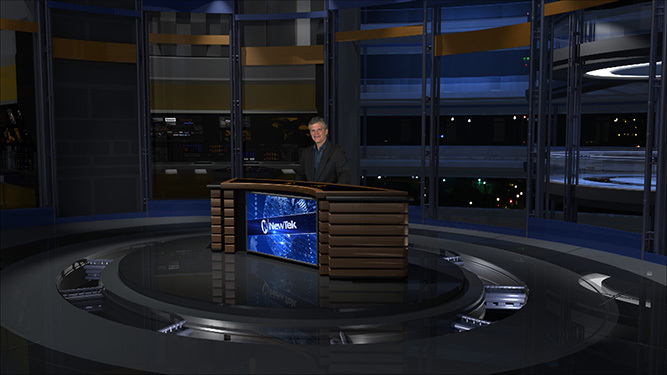 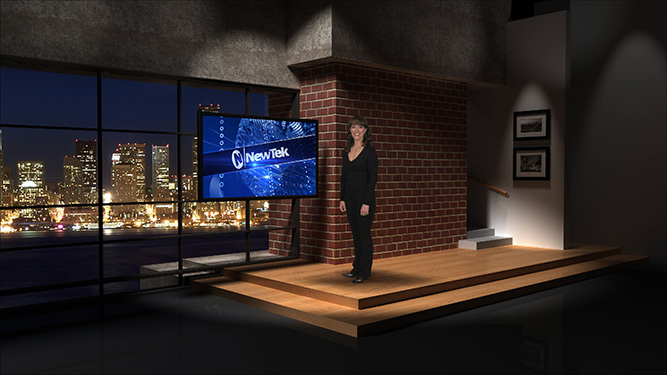 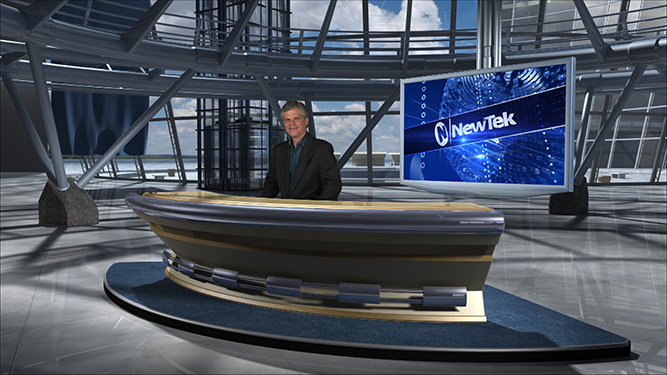 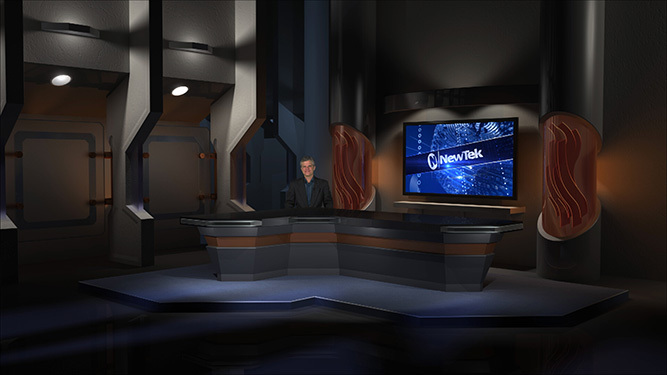 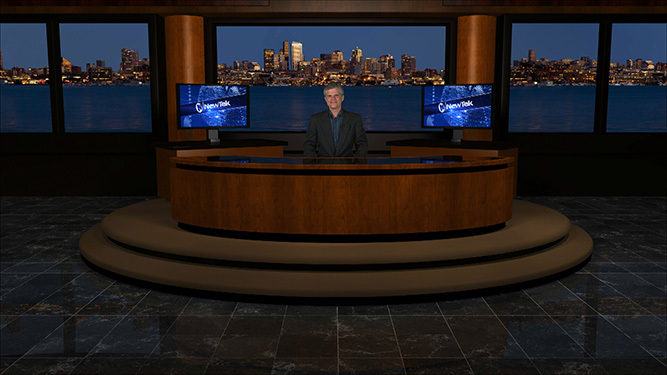 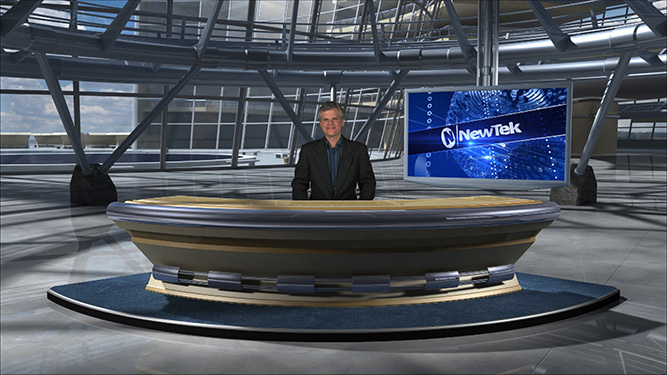 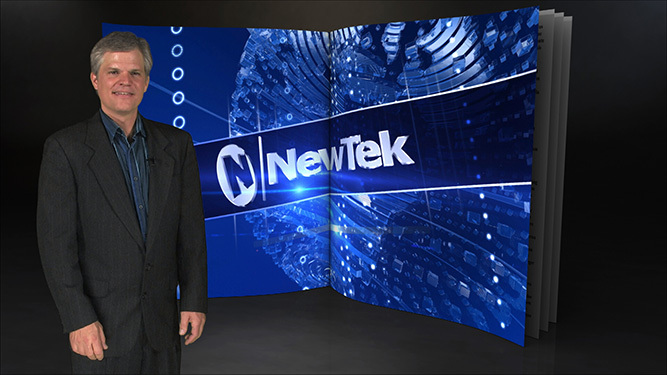 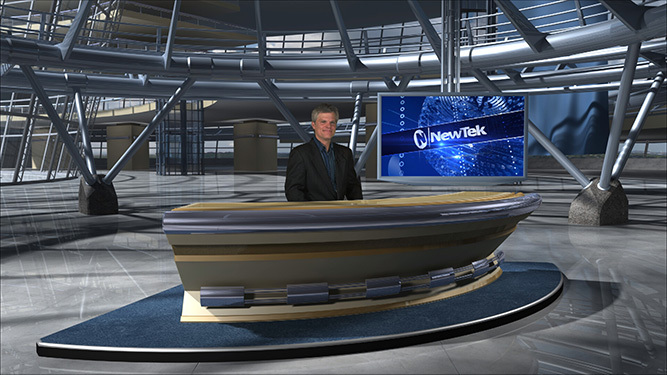 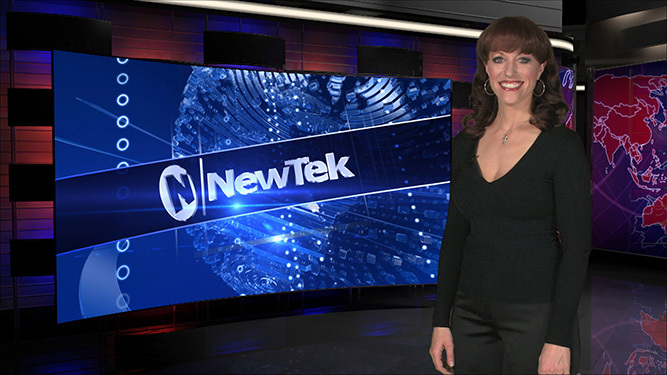 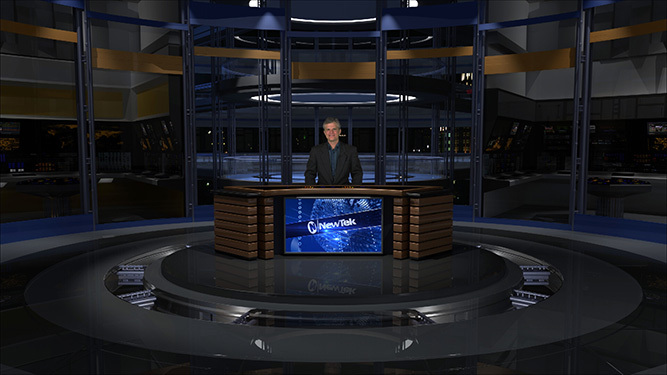 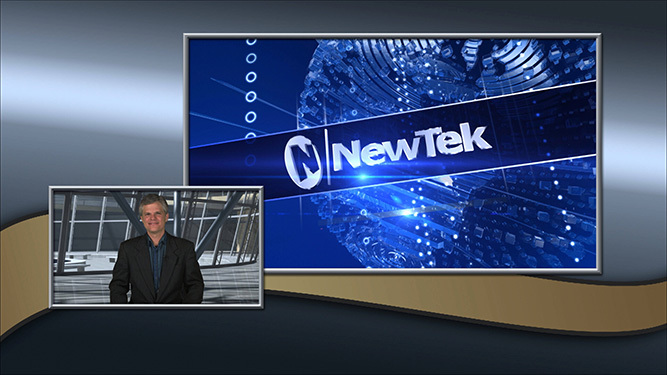 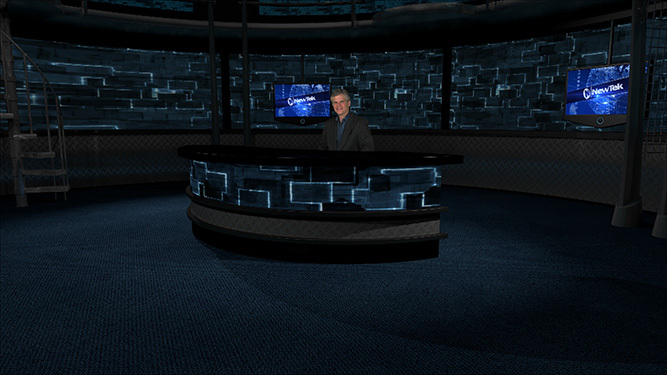 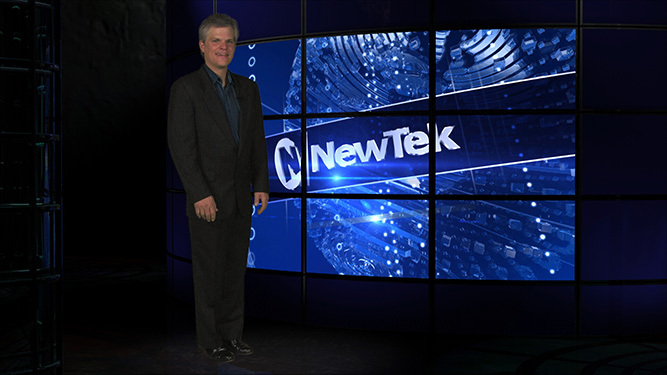 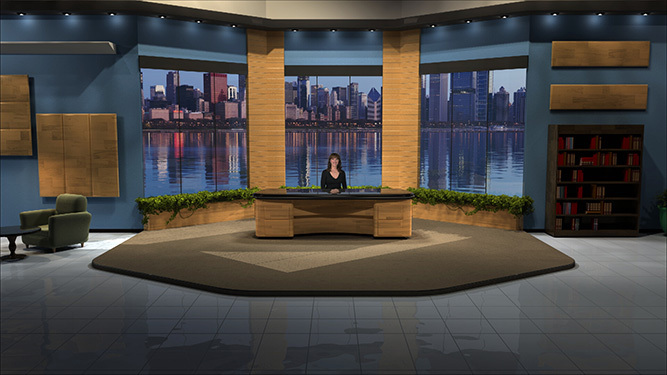 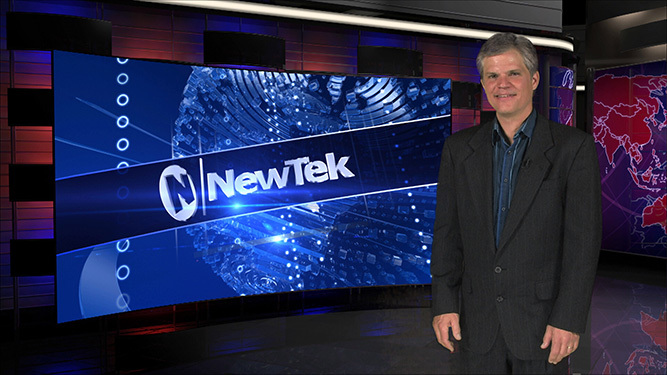 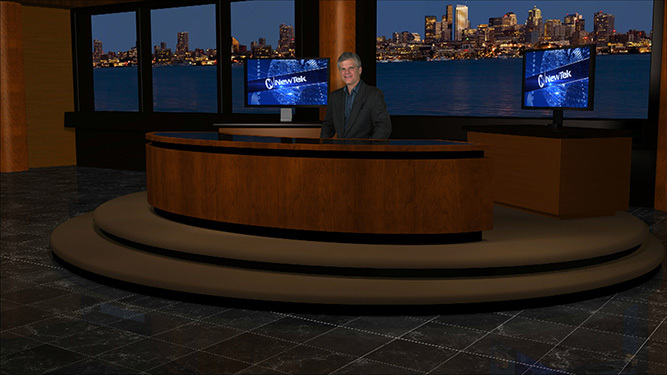 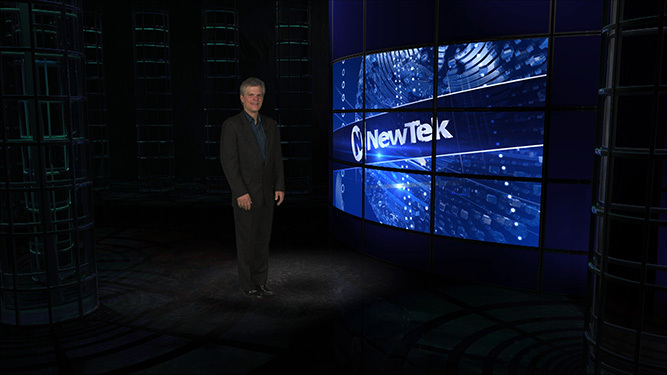 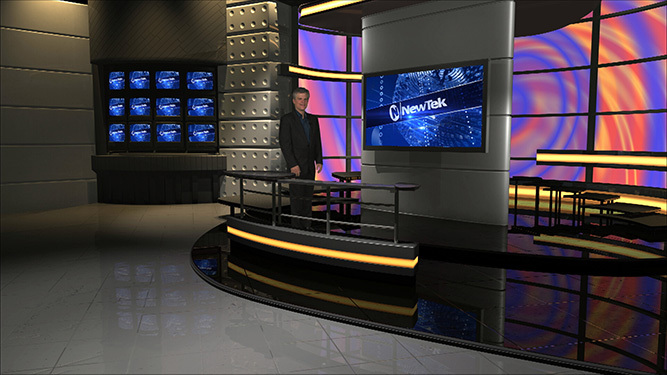 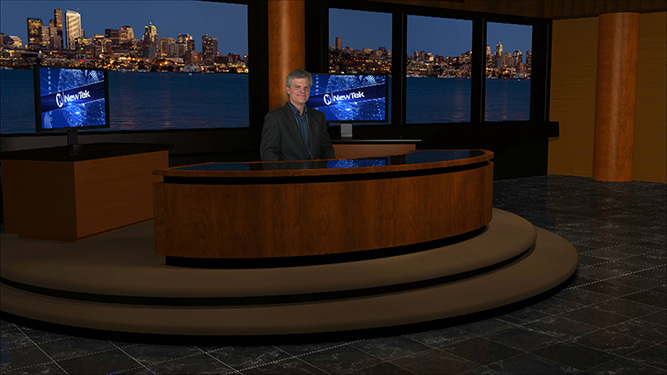 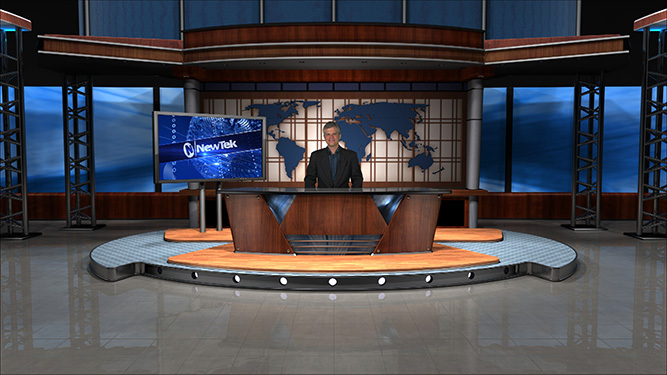 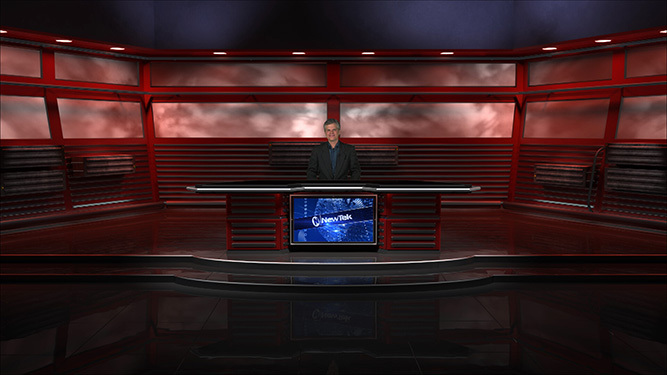 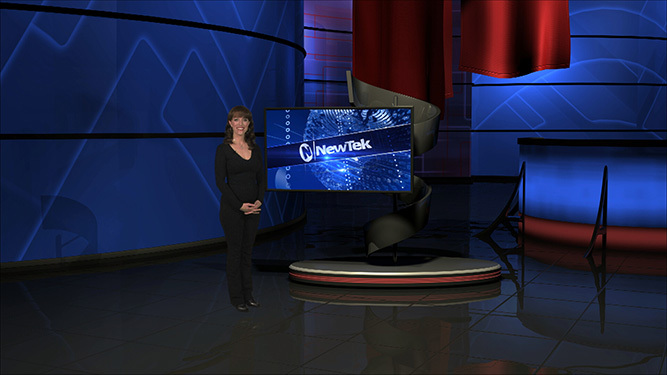 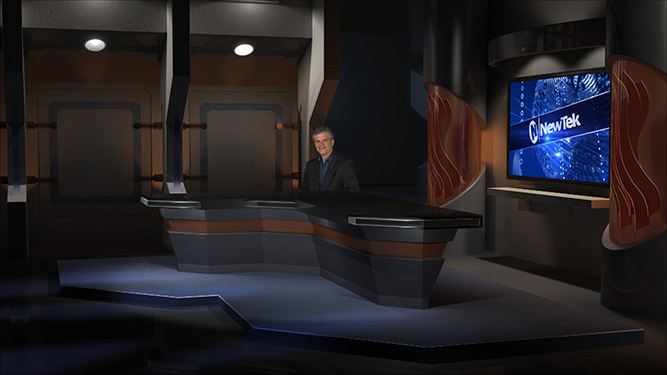 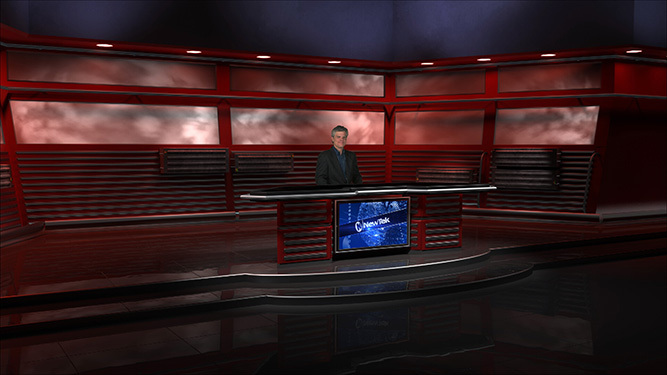 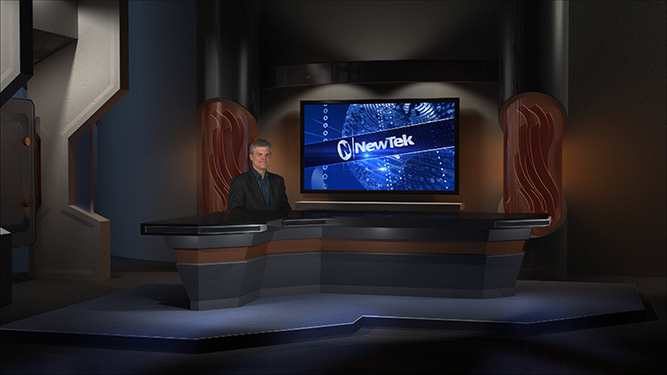 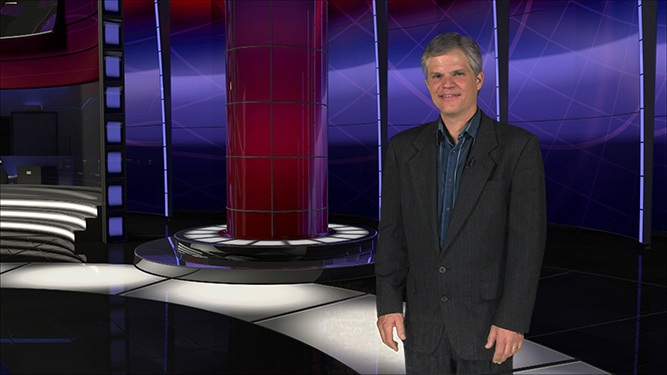 All you need is basic lighting and a simple green screen or solid-color backdrop, and TriCaster will help turn your location into a sophisticated, network-style studio environment. 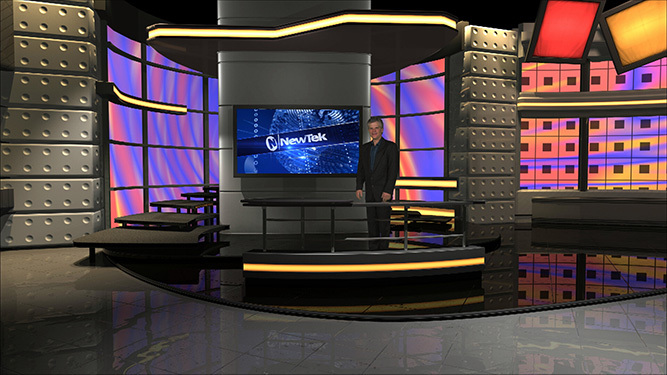 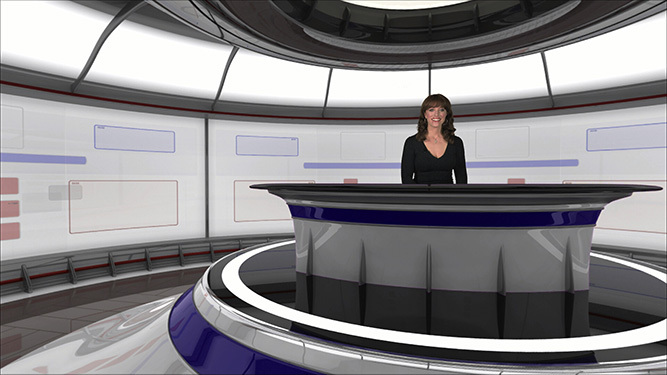 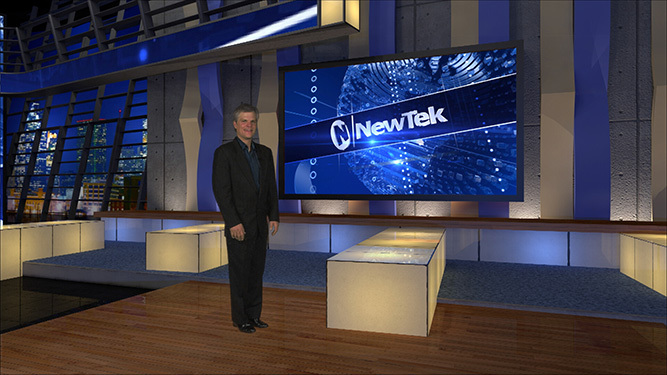 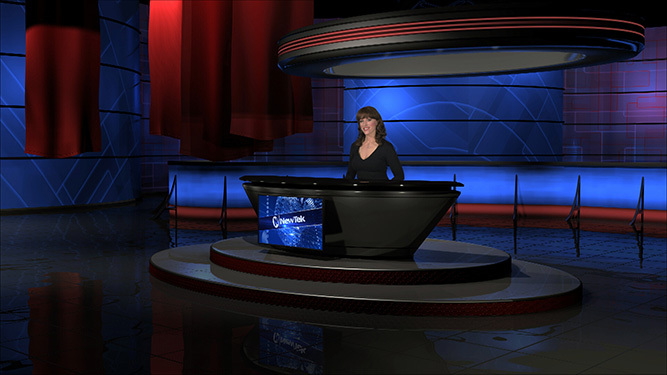 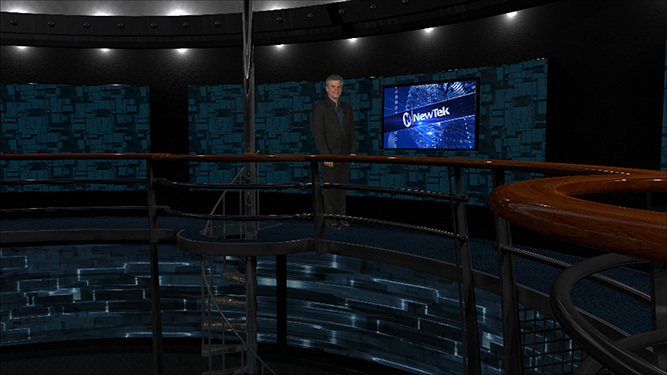 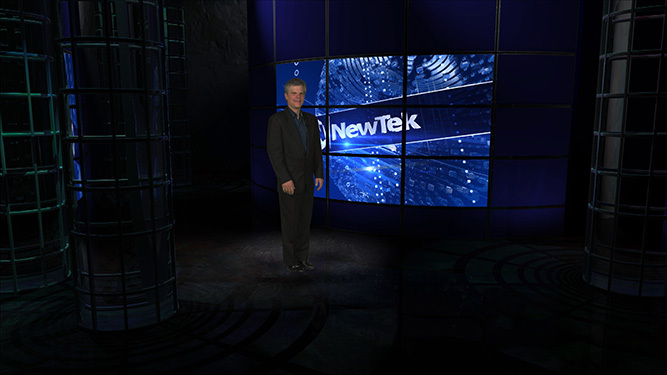 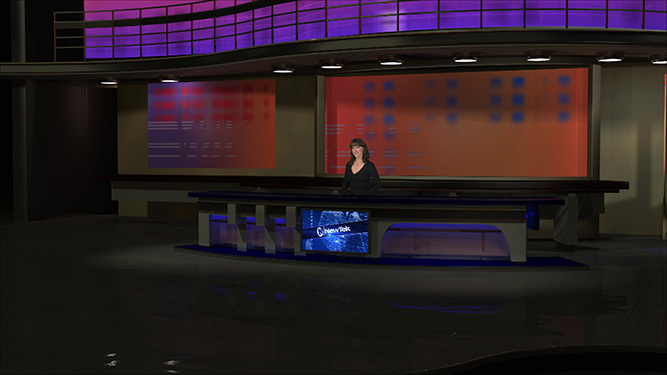 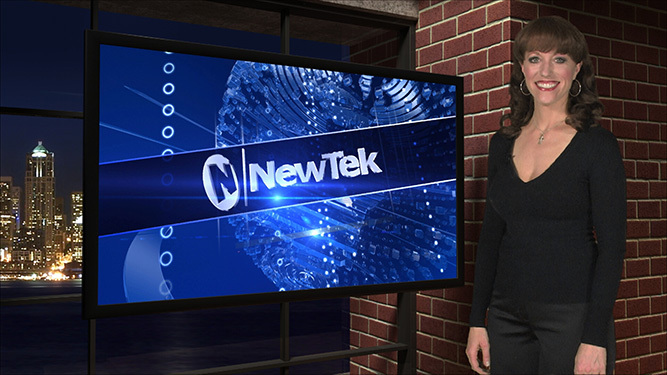 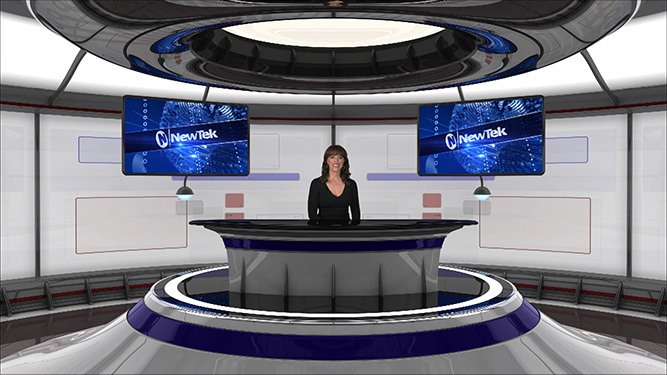 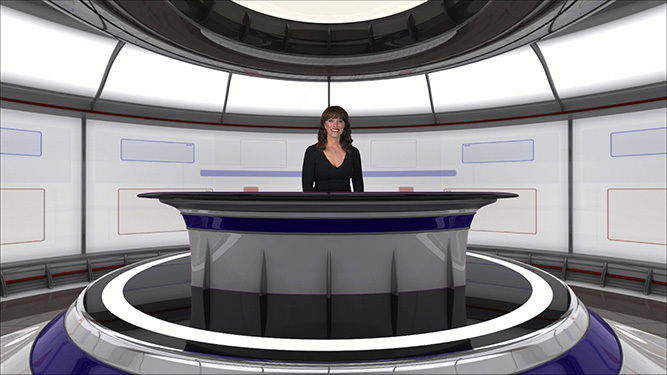 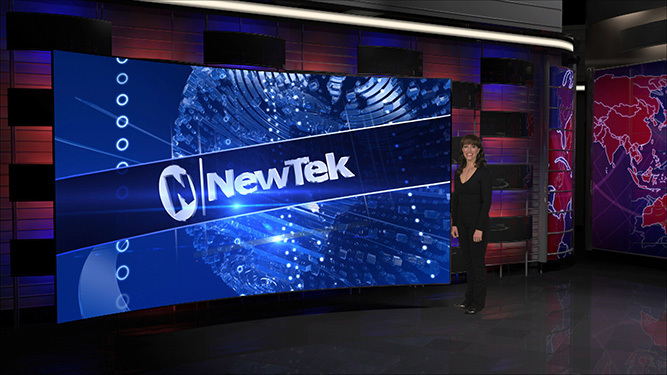 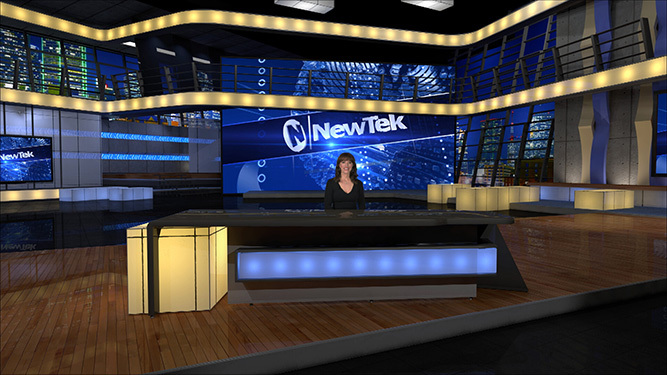 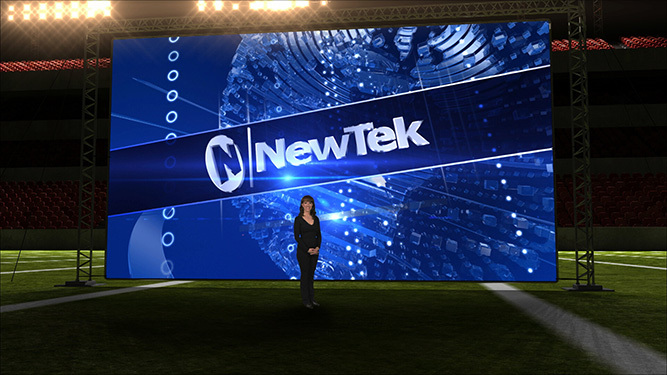 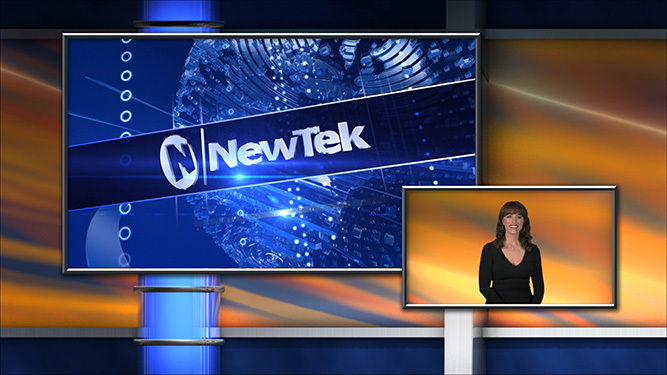 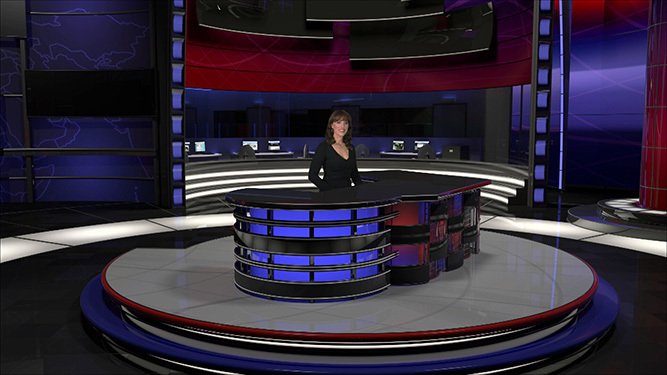 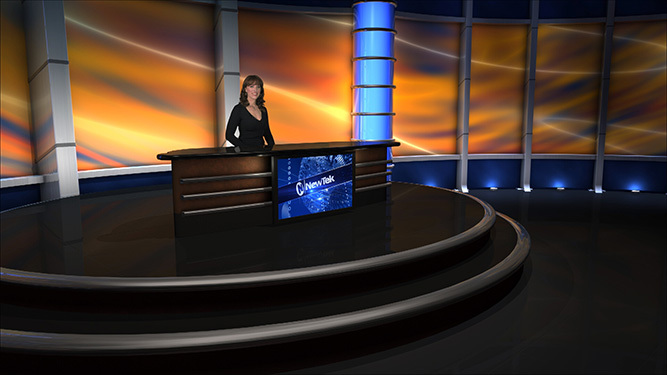 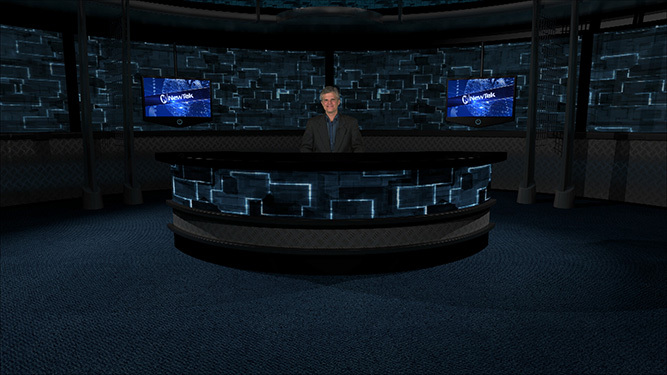 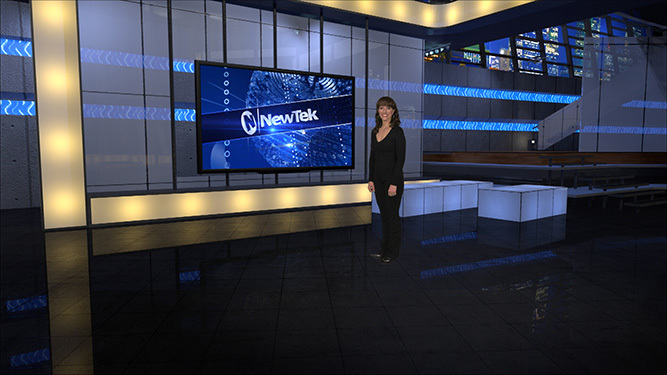 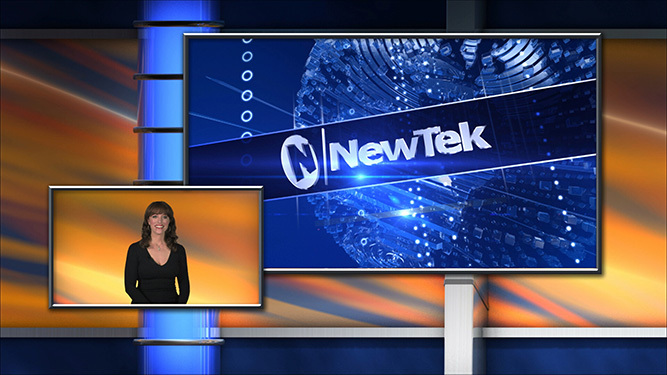 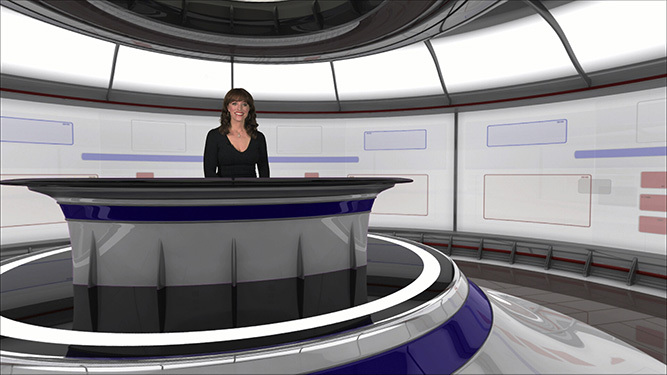 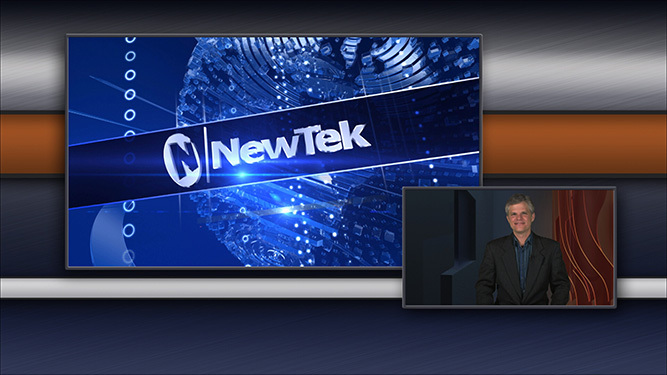 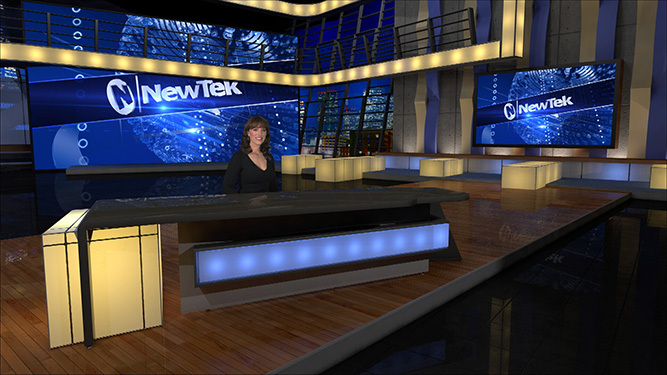 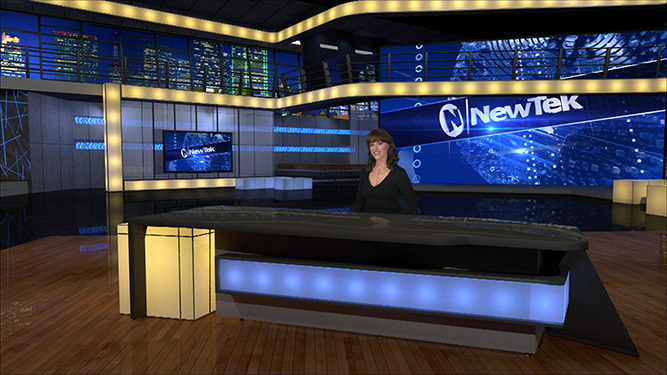 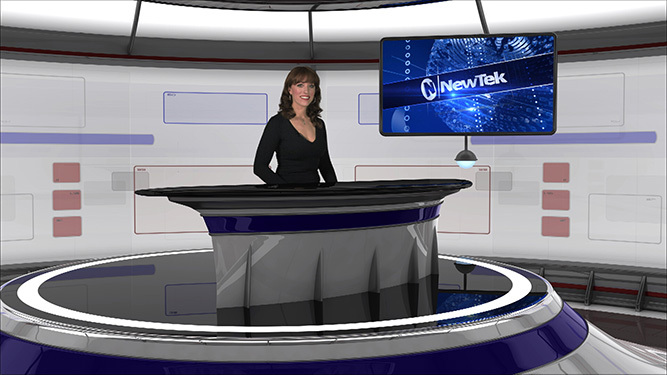 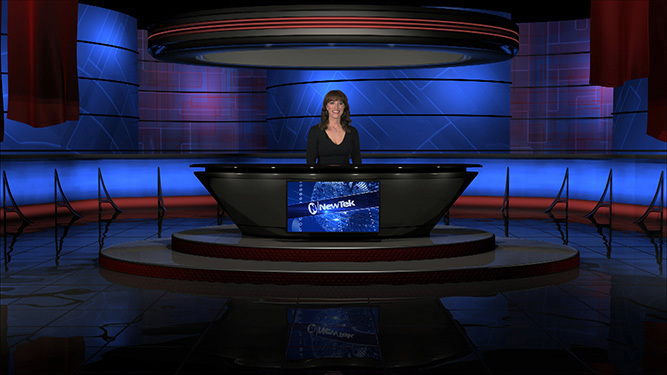 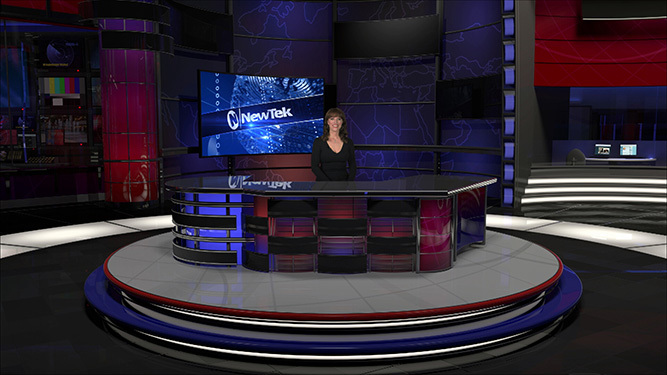 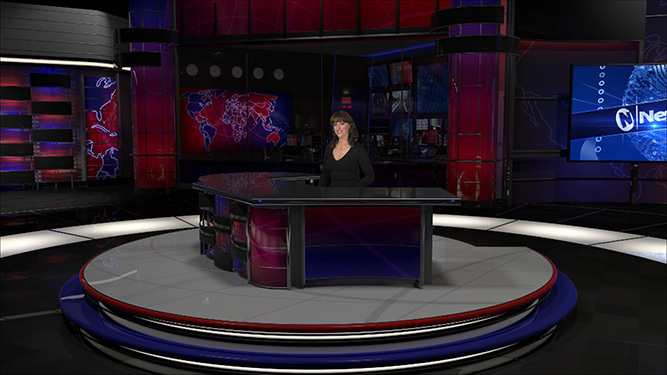 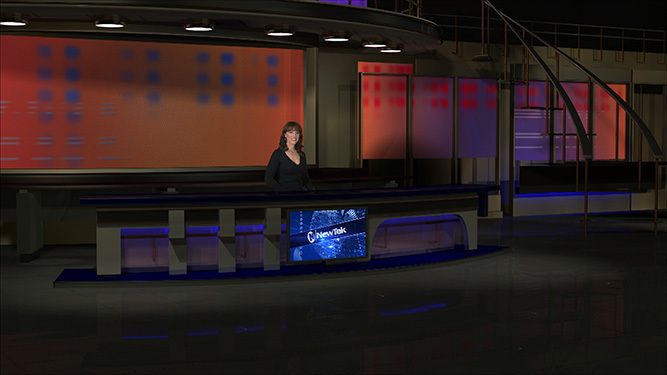 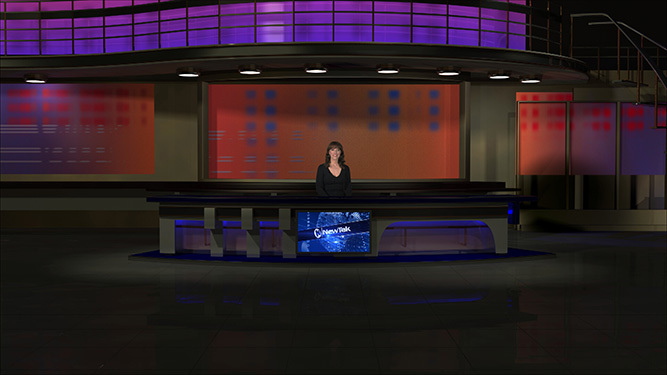 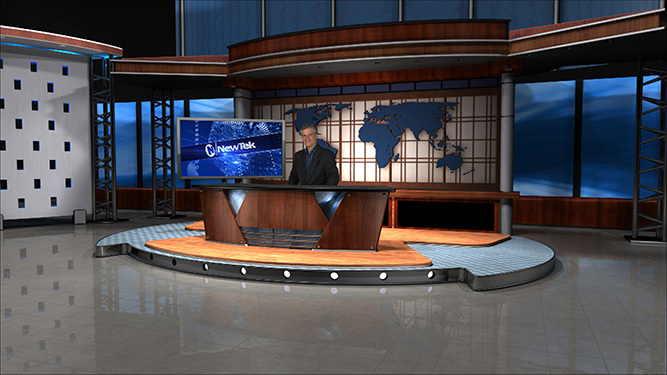 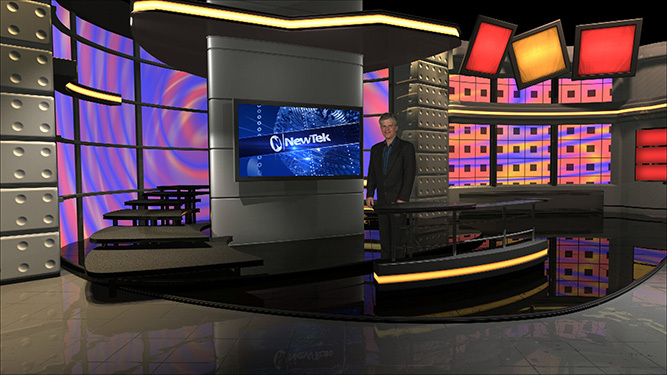 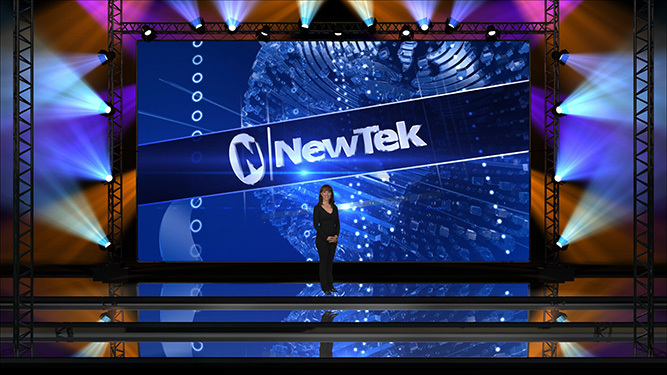 You can use Virtual Set Editor to create your own, but to get you started, each TriCaster model comes with several complete virtual sets in multiple styles and settings to give your location a professional makeover right out of the box. 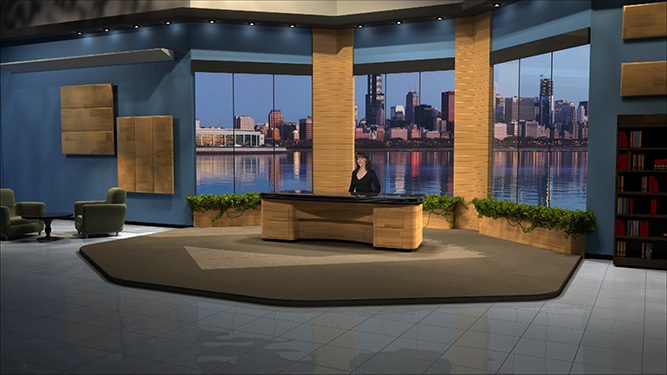 Take a tour and start planning the next big look for your small production space. 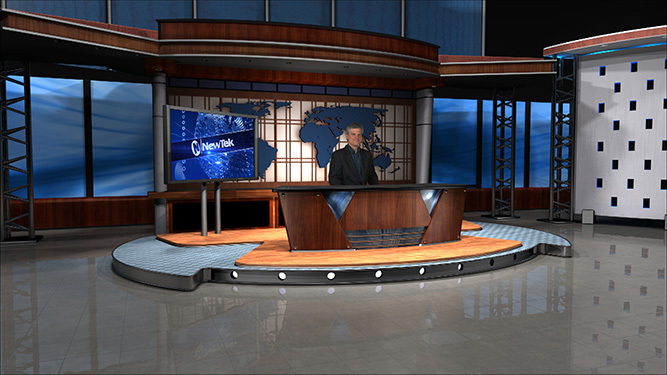 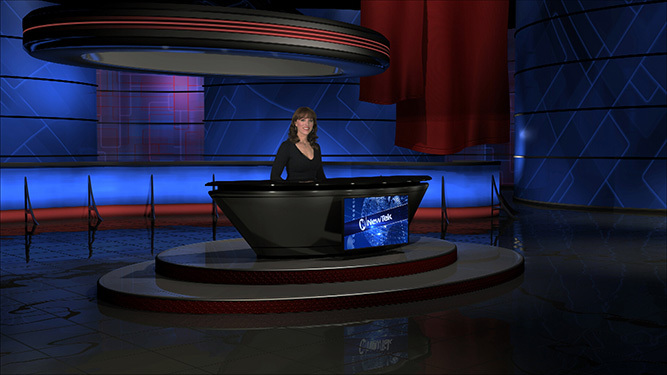 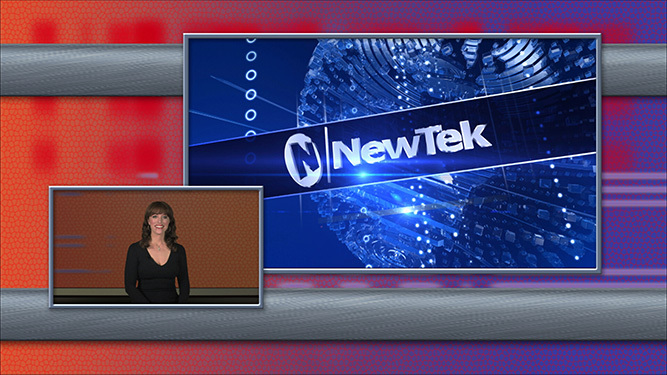 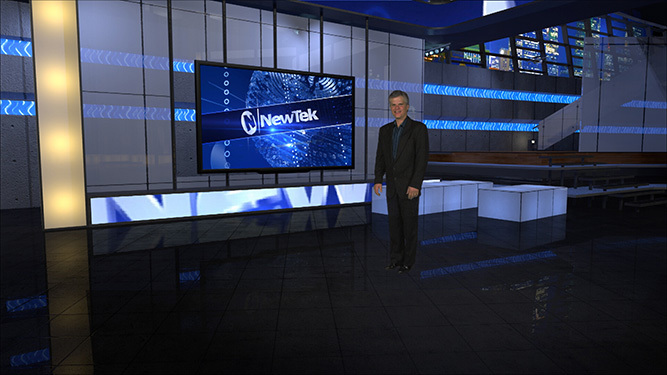 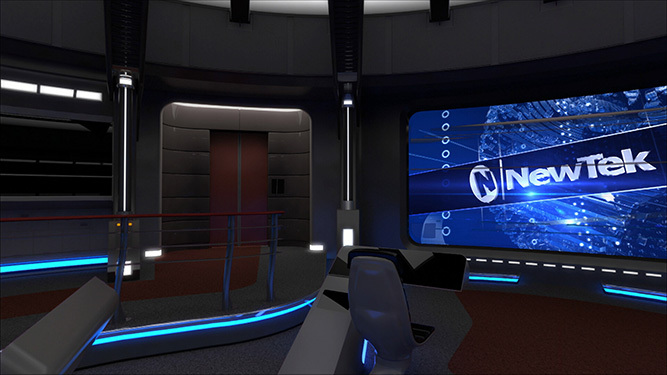 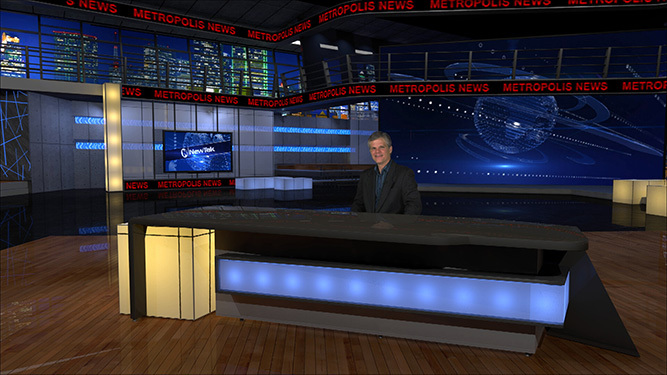 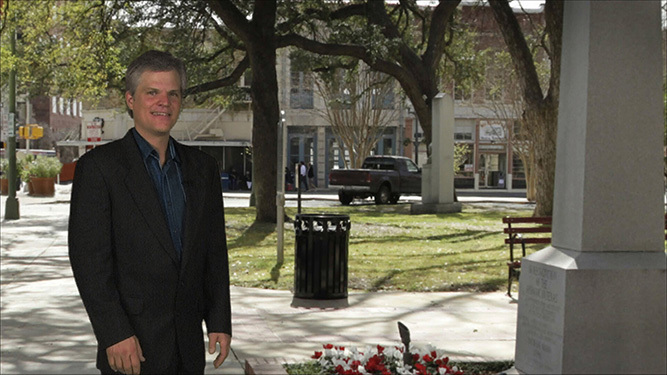 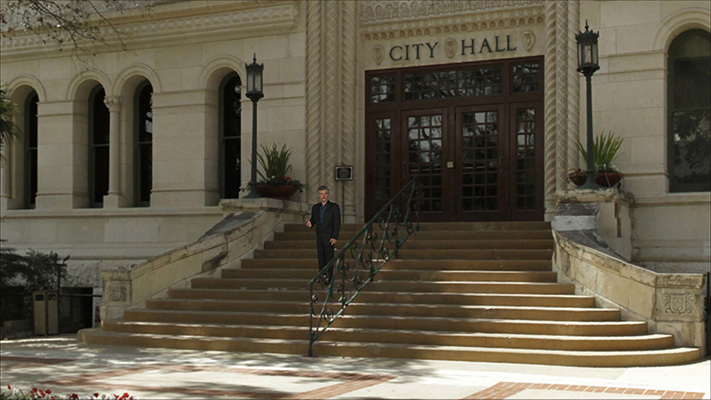 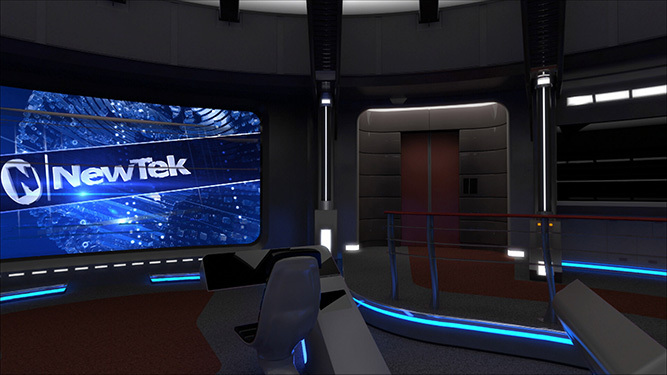 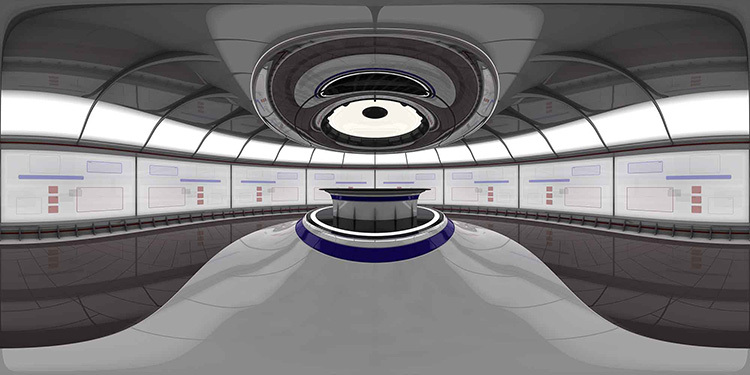 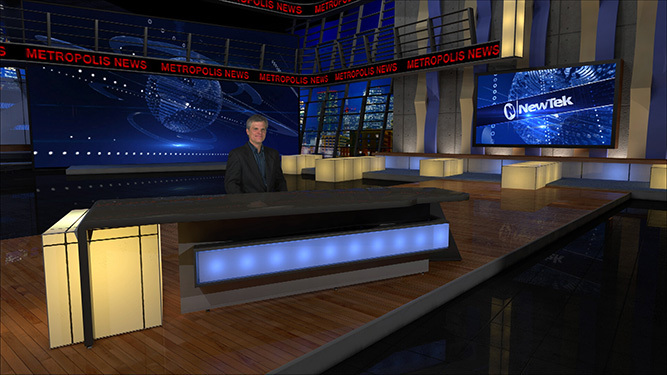 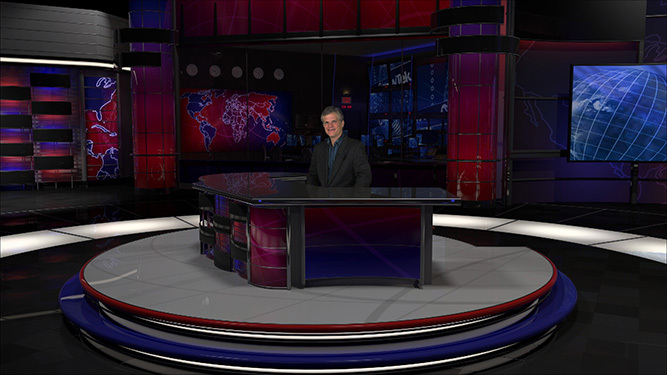 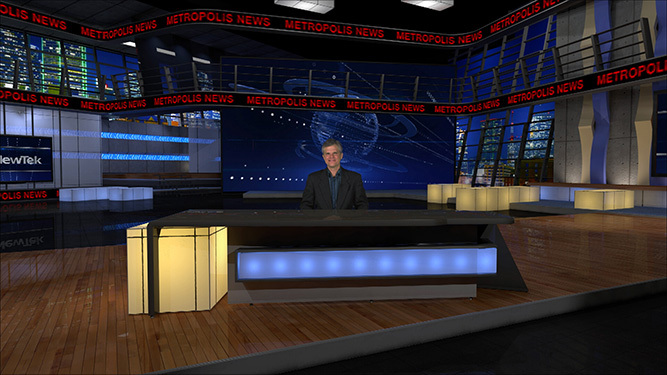 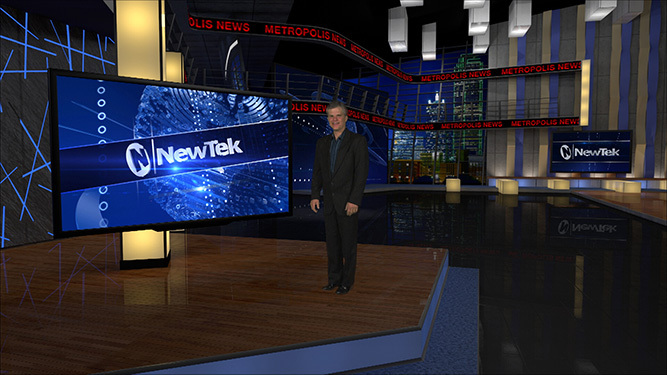 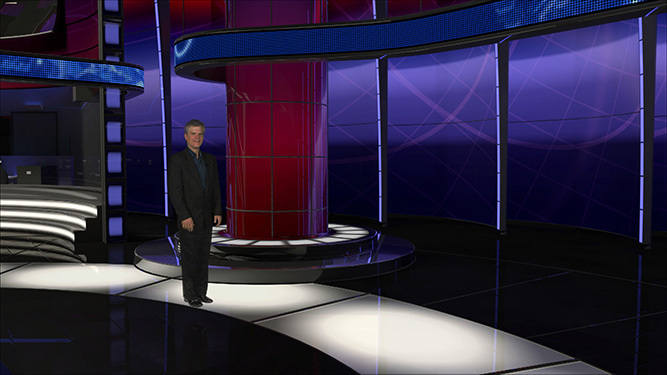 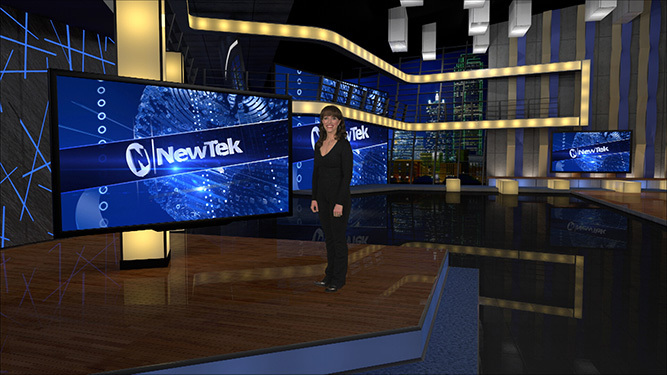 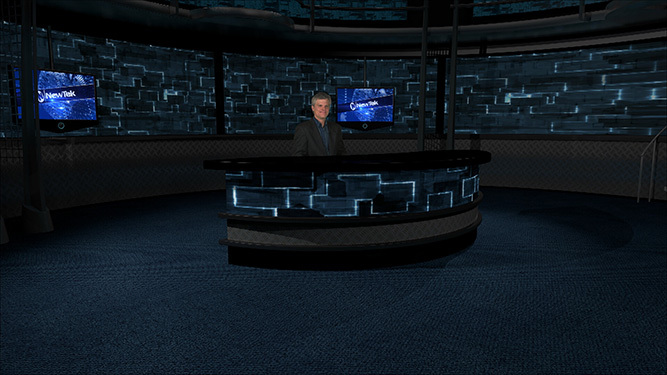 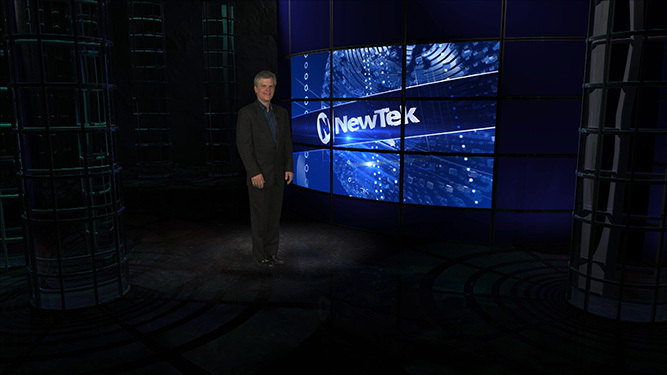 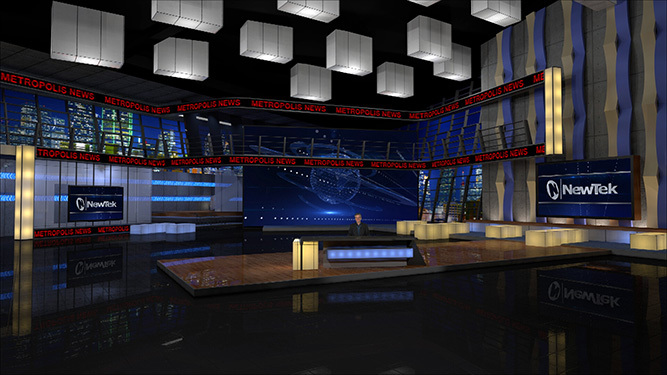 Virtual Sets are best when you need your on-screen talent to appear in a studio environment. 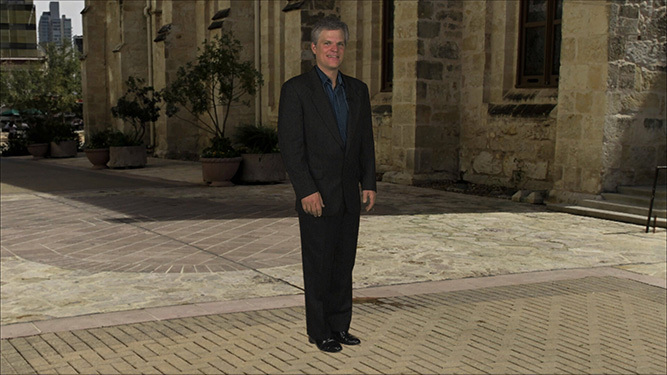 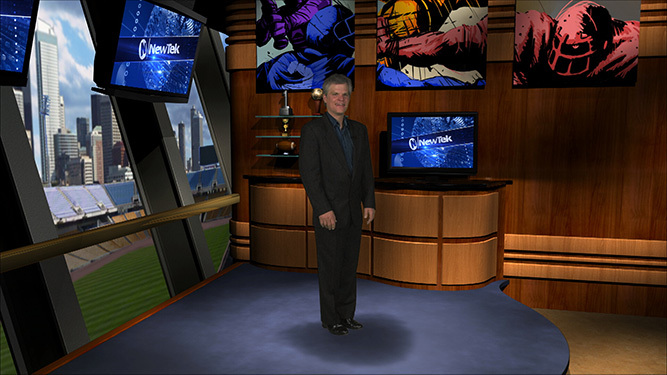 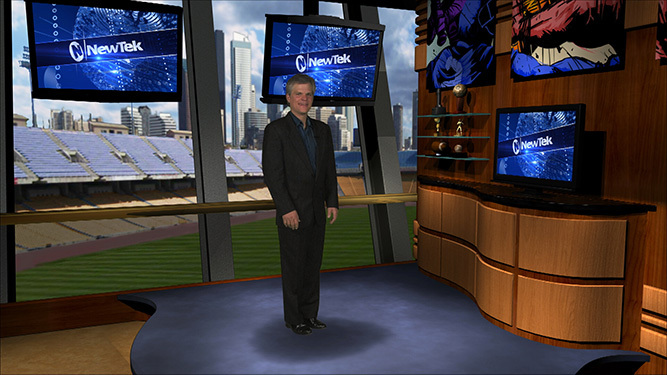 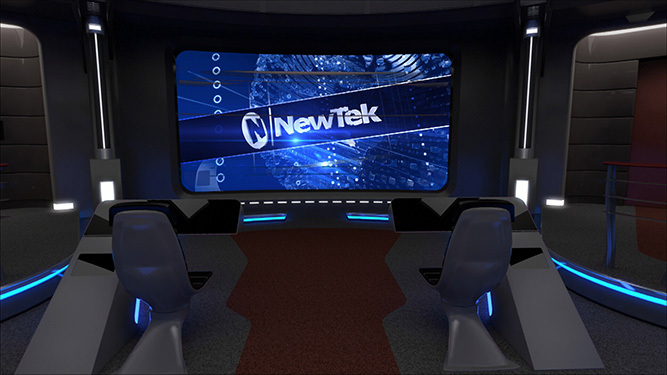 But if you want to transport your stars on location to any site in the world–or even out of this world–you can, with Holographic virtual sets. 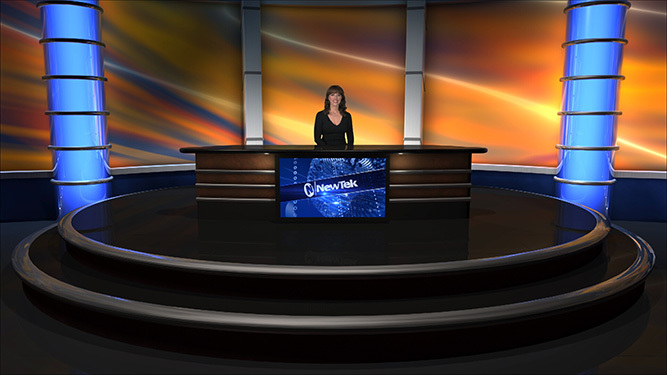 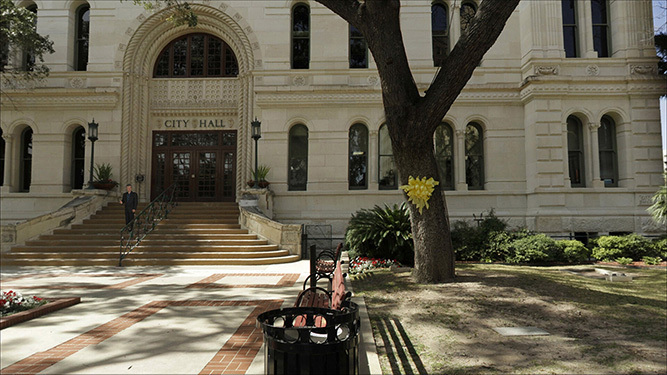 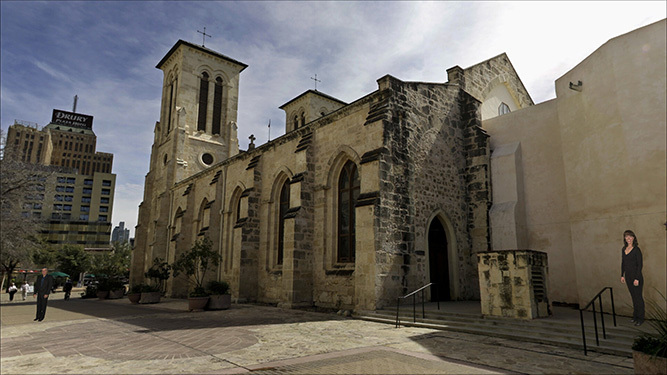 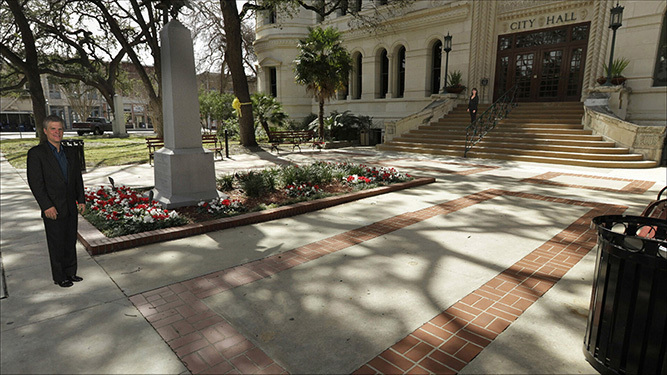 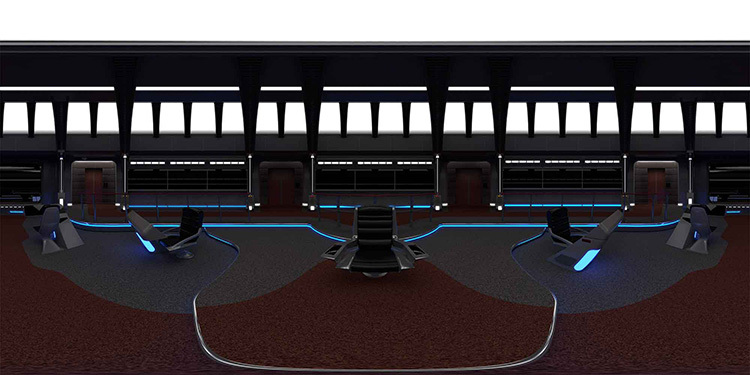 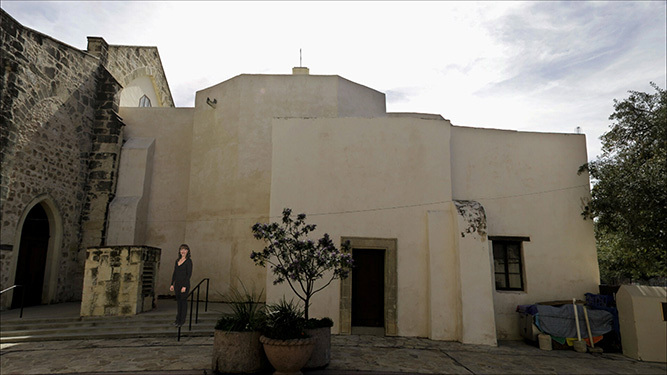 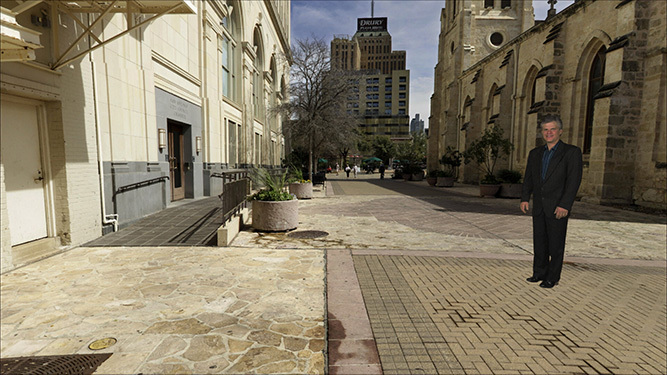 These are 360-degree virtual environments that can be created from your own 3D models, or with panoramic images snapped with a smartphone or camera, when you use Virtual Set Editor (VSE) 2.5. 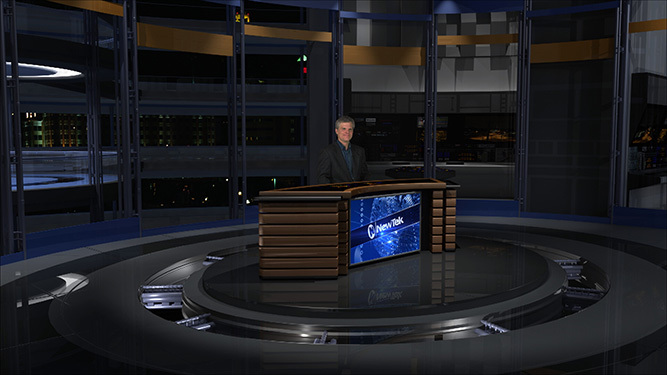 We’ve included a few samples in TriCaster pro line models so you can experiment hands-on with taking your vision to the next dimension.